The brushed organic cotton on the inside has a extra soft feel and keeps you warm during fresh nights. Two pockets to store small things are hidden on the fron side of the Hoody. 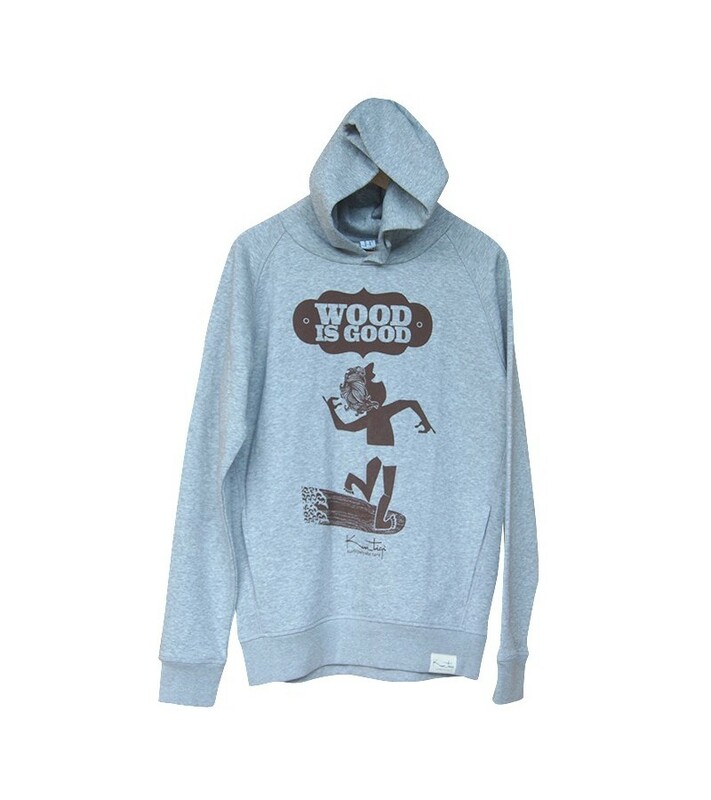 The "Wood is Good" design is screen printed at the front of the hoody.